Snippets of Jack: "If you were waiting for the opportune moment...that was it." "If you were waiting for the opportune moment...that was it." 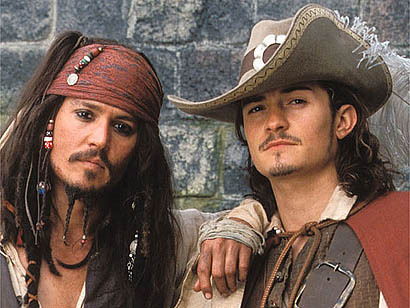 Oh my, the hilarious realatoiniship between Captain Jack Sparrow and Will Turner. Throughout the movies there was backstabbing, drunken parties, same love interests and many other things to keep you guessing what Jack and Will would do next. Here are some of my personal Favorites. Jack: "Everyone stay calm we are taking over the ship"
Jack; "Put it away, son. It's not worth you getting beat again." Will; "You didn't beat me. You ignored the rules of engagement. In a fair fight, I'd kill you." 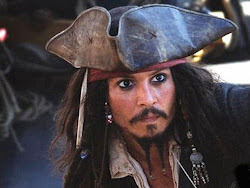 Jack; "Then that's not much incentive for me to fight fair, then, is it?" Will; "You've been planning this from the beginning, ever sense you learned my name!?" Jack; "...Yeah."